When the colder weather approaches soups, stews and chili are on the menu more often than not. 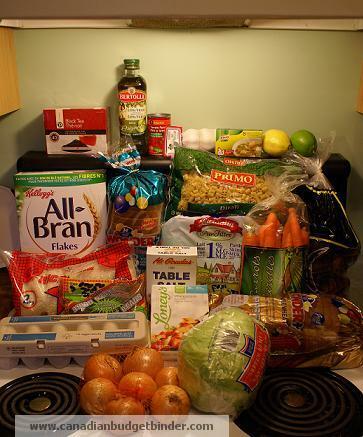 In Mr.CBB’s Kitchen this week I have participated in the British Columbia Welfare Food Challenge by raise the rates. With this challenge you start with an empty pantry and you spend only $26 at the grocery store on foods you will eat all week. The purpose of the challenge is to get a better understanding about how challenging it can be to live on $109 a month for groceries given to welfare recipients. You can read about my journey along the way in The Grocery Game Challenge posts and What I ate the first 2 days of the challenge. This quick homemade soup was created from my list of ingredients and I have to say it was absolutely amazing. So amazing that I couldn’t stop Mrs.CBB from stealing 3 bowls of the soup over the course of 3 days. 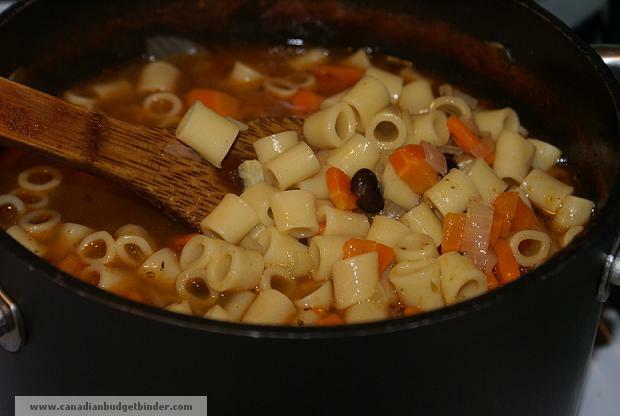 This was such an easy minestrone soup to make. A large pot of soup is not only easy to make but it’s a cheap way to fill you up with some healthy good food. This pot of soup used almost all the ingredients I had in my basket (I feel like I’m on that Food Network program “Chopped”). The only difference is I really only get to use what’s in my basket, no pantry to back me up. I would have loved to toss in some fennel greens to this recipe so if you have them toss away! 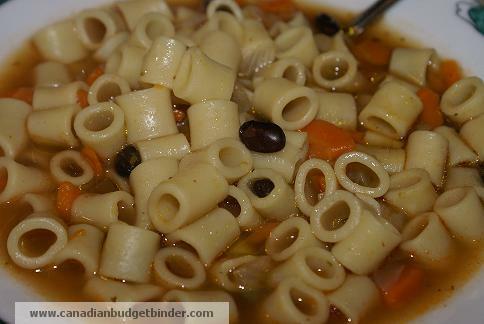 If you really wanted to make it easy you could make this a slow cooker minestrone soup and come home to this wonderful soup after a long day at the office. The tanginess in the soup comes from the tomato paste and the slice of lemon I tossed in after taking off the rind for another dish I was preparing. I used the juice and rind for my lemon vinaigrette to top my garden salad (really it was lettuce and carrots) don’t want to make it sound like it was full of vegetables because that was not the case. I made sure my lemon slice was good to the last drop. I would have loved to make my Kalamata Olive bread and dip it in this soup. I would have also loved to grate fresh Parmigiano all over this soup. Can you tell I’m hungry! Give this recipe a try and please come back and tell me what you think. 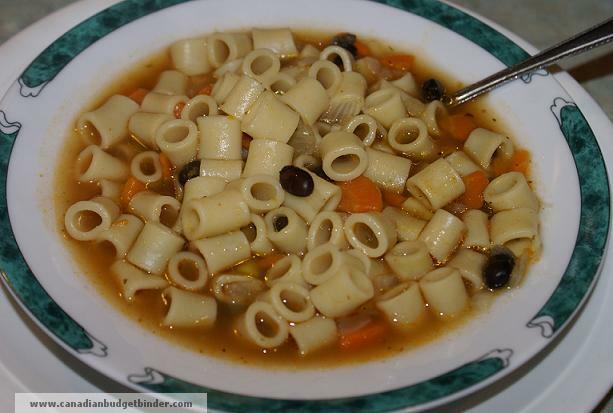 That’s it folks and I bet you thought this would be a difficult soup to make.In fact it is so easy it’s a great recipe to make with your children in the kitchen. You can teach them how easy it is to make a large pot of soup for a fraction of the cost of those convenience foods that cost you more than you need to spend. If you take the time to learn new tricks in the kitchen other recipes will start flowing and before you know it they will be calling you the chef of your kitchen and people will want to be invited for dinner at your house. Are you on Mr.CBB’s Blog Roll? Check HERE… if not and you want me to check out your blog and add you, come introduce yourself. If you would like to guest post for Canadian Budget Binder please read our guest post guidelines and contact me today. Reader Question: Is It Savvy To Cash In My RRSP’s To Pay Off Debt? Looks delish! Great winter recipe too. Heck, yes. I love soups in these cooler months. 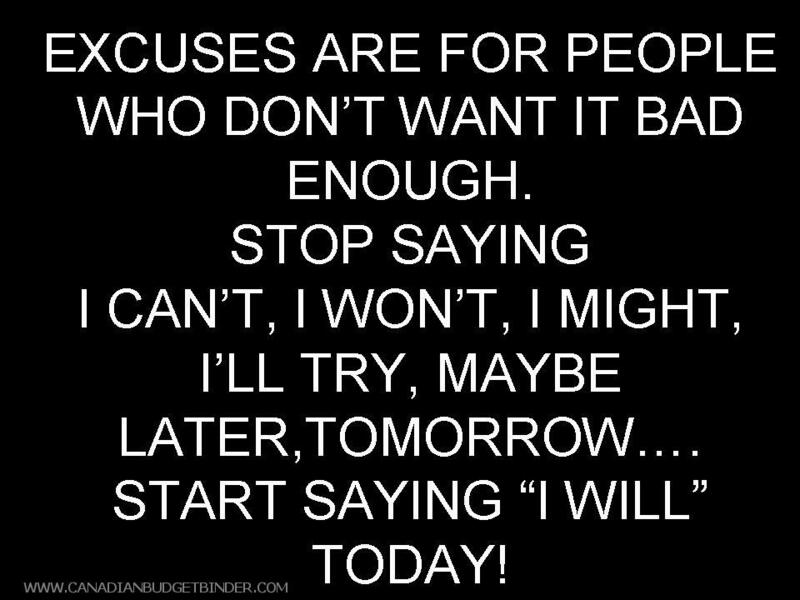 You’re rocking that challenge!!! Maybe there can even be a double purpose to it…helping people who are living on $26/week discover some new recipes that are affordable. That’s true.. tonight I’m making a beet risotto so that should be interesting. Can’t wait to taste it. Thanks mate.. it was pretty good. I still have some left. Good job Mr. CBB. An excellent example of just how well a person can eat, even with limited resources. I’m going to assume that you add the chicken cubes with the water at the start????? I see them in the ingredient list but I don’t see where you are to add them……it does look good mind you……might be trying this soon!!! Mom used to make macaroni and tomatoes at least once a week. She first cooked and drained the elbow macaroni and then added a jar of her home canned tomatoes. We all enjoyed it.